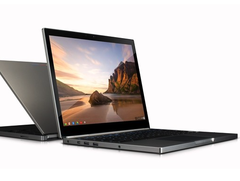 Google Chromebook Pixel 2 is set to launch "soon"
A Google manager announced the upcoming release of the high-end Chromebook's second generation. This premium Chromebook is geared towards developers and will be produced in limited quantities. What was recently just a reference in a bug report by a Google employee working on the Chromium project has now been confirmed by Renee Niemi, who currently holds the position of Director of the Android and Chrome Global Business Unit within Enterprise at Google. 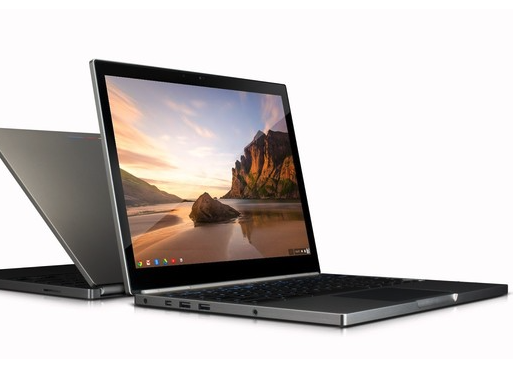 Almost exactly two years after Google Chromebook Pixel (see our review) was officially announced, the company finally confirmed the approaching release of the long-rumored Chromebook Pixel 2. Although its technical specifications haven't been revealed yet, we can speculate about them pretty well based on the old Pixel. It's unlikely that the premium chassis made of anodized aluminium will be waived in favor of cheaper plastic one, since the Pixel 2 is meant for developers. An IPS panel will surely be retained for the 12.85-inch screen, featuring a resolution of at least 2560x1700 pixels (or even 3840x2160 pixels, according to some sources). It's safe to assume that an Intel processor of the new Broadwell generation will be used - the rumors state it to be a Core M (Broadwell-Y) SoC cooled by two fans. A USB 3.1 Type C connector will most likely be also present. The latest wireless communication standards such as dual-band 802.11ac Wi-Fi, Bluetooth 4.1 and optional 4G/LTE are expected as well. An SSD with the capacity of at least 64 GB and a decent amount of RAM (at least 4 GB) will ensure that developers can install Windows and various Linux distributions for their work. While the laptop will also be available for regular purchase, but the price is unlikely to be lower than $1300 that the first Pixel retailed for - it is, after all, a very well made device intended to provide the best working experience for its owner. While that alone isn't likely to stop the potential buyers, Niemi warned the audience that very few Pixel 2 units will be manufactured: "This is really a proof of concept. We don't make very many of these - we really don't. And our developers and our Googlers consume 85% of what we produce." Those set on purchasing Google's new flagship Chromebook will have to act quickly once it goes on sale or risk never getting one at all. Unfortunately, no specific date for the launch was given, but we expect the official introduction no later than Google I/O conference in late June.